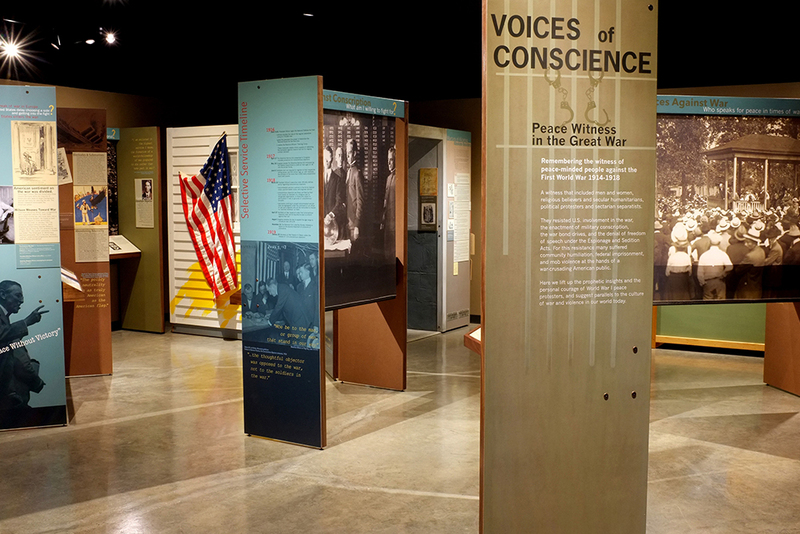 Eastern Mennonite University archivist Simone Horst reviews the “Voices of Conscience: Peace Witness in the Great War” exhibit, which closes Nov. 17 at the Sadie Hartzler Library. Read more of her review at the Anabaptist Historians website. [CANCELLED] Anne Yoder, archivist at Swarthmore College’s Peace Collection, speaks at 7 p.m., Thursday, Nov. 15, in Martin Chapel about WWI conscientious objectors in their own words. Read about Anne’s digital collections work in an EMU news article. Phil Kniss ’82, MDiv ’95, senior pastor at Park View Mennonite Church in Harrisonburg, shared the story of his grandfather Lloy Kniss, who was drafted and ordered to train at Camp Greenleaf in Georgia. One of the heros in my life was my father-in-law, Nevin Bender who also served as a conscientious objector during WWI. He had similar experiences to Kniss and became a prominent Mennonite minister in the mid 1900s. I learned to know him and then fell in love with his son, who I married, Titus Bender.